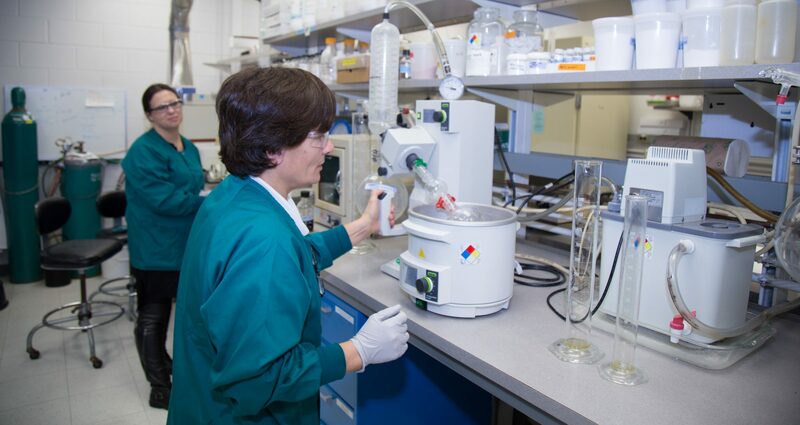 The MSU Bioeconomy Institute (MSU BI) provides specialty chemical and fermentation development, scale-up, and manufacturing as well as sponsored research and testing, for both for-profit and not-for-profit entities of all sizes. Our two facilities, located in Holland and Lansing, Michigan, complement and extend Michigan State University campus research. The institute in Holland offers business incubation opportunities and extensive laboratory space rental, as well as educational programming, training and services. The site is also home to embedded researchers from private and public sector collaborator organizations. These activities support Michigan State University’s general mission of research, teaching, and service-outreach, and specifically advance MSU’s efforts to promote the economic development of Michigan and the nation.